It’s that time of year again – with the UK’s sorry excuse for a summer now a distant memory, the festive tat is creeping onto the supermarket shelves and the TV schedules are filling up with desperately contrived reality shows of the kind so brilliantly parodied by 30 Rock’s Kidz Got Singing. In the face of such depressing tribulations, it’s difficult to resist a general weltschmerz. But although H-Dog Thoreau never had to put up with a world that tolerates and rewards the likes of Piers Morgan and Will.i.am, it’s possible he had a point nonetheless – even though the nights are drawing in and many weeks of drizzle loom before we see the sun again, there are still some mitigating factors to this most miserable of seasons. The lawn won’t need mowing for a while; the second season of Boardwalk Empire is out on DVD; and crap weather is a great excuse to carry a hipflask around ‘just in case’. Autumn is also a very exciting time in the whisky world, of course, with The Whisky Exchange Whisky Show in London this weekend and the imminent arrival of Diageo’s annual Special Releases. 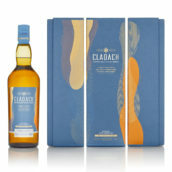 As ever, these jewels in Diageo’s crown have inspired excitement and controversy in almost equal measure, with the anticipation of a second edition Lagavulin 21yo and the oldest official Talisker and Brora ever released being tempered by the inevitable wailing and gnashing of teeth about the spiralling prices of the closed distillery bottlings. 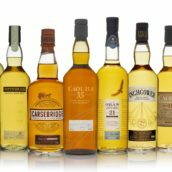 However, if you’ve been tearing out your hair or rending your garments due to not being able to try these famously difficult-to-acquire drams, we’ve got some very good news for you: This year’s Whisky Exchange Whisky Show will be featuring the four most desirable of 2012’s Special Releases as part of our Dream Dram range!! Yes, you read that correctly: visitors to the TWE Whisky Show can use their Dream Dram token to claim a dram of either Talisker 35yo, Lagavulin 21yo, Brora 35yo or Port Ellen 32yo (if they’re bloody quick)! Each of these jewels in the Diageo’s crown will be available for just one Dream Dram token and you can buy extra Dream Dram tokens for £10 each on the day. There’s also the small matter of the 426 other confirmed whiskies on offer for tasting at the Show (seriously, that is the real number), all of which are free to sample for Show ticketholders. What are you waiting for? 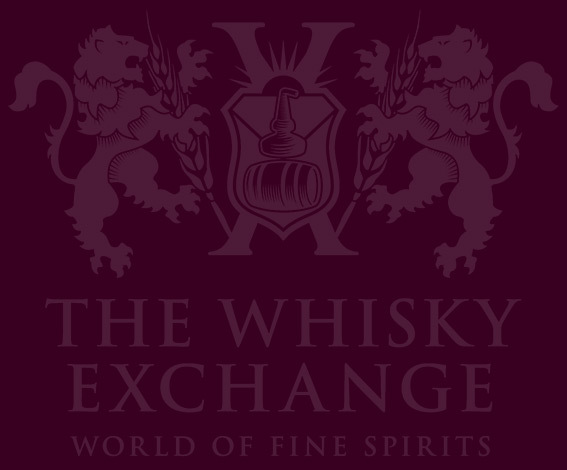 Tickets for the Saturday session of The Whisky Exchange Whisky Show are now sold out, but a small number of weekend tickets and Sunday session tickets are still available on ticketsource. So, is the Special Releases hype justified? The official launch of this year’s goodies was held, unusually, on an outdoor covered balcony towards the roof of the National Theatre in London last night. Billy and I went along to to see what all the fuss is about, and this is what we found. Brora 35 Year Old, 48.1%, 1566 bottles from refill American oak casks filled in 1976 & 1977. RRP £400. Nose: Rather Clynelish-like to start (which is no bad thing in my book), with lots of wax and pineapple, as well as stacked straw, a touch of the farmyard, honeysuckle, a hint of parma violets and an almost baked bean richness behind everything. Palate: Quite different to the nose, with sweet liquorice, fennel fronds, perfumed wood, sherbet, orange boiled sweets, mint and a touch of lemon Locket. Finish: More liquorice, chalky Refreshers, spicy wood, damp logs and a touch of menthol. Nose: Bandages and tweed, mixed peel, hay, waxed grapefruit skin. A little musty after time in the glass. Not much in the way of smoke, this is definitely more Clynelish than Brora. Palate: Rich and intense, waxy and sweet. Densely textured. Orangey liqueur notes and the hay from the nose. The tweedy oak gets a little loud from mid-palate. Finish: Not especially long but pleasant, although again the oak is a little too dominant for me. Comment: A very drinkable dram, and Clynelish-lovers will be happy, but of course at 35 years of age it’s starting to creak a bit. Very oaky style, yet still a lot to admire here, with lovely sweet citrus and a luxurious mouthfeel. Nose: Spiced apple chutney, mint, five spice, a touch of custardy vanilla, good honey, barley sugar and some green herbs lingering at the back. Palate: Syrupy up front with, with green wood, butter, ferns, liquorice root, wax furniture polish, red fruit and a sticky candied papaya sweetness. Finish: Menthol, waxy fruit, stewed apple and a hint of chilli heat. Comment: Quite spicy with some good sticky fruit and general sweetness, as well as not falling in to the trap of being too woody. Nose: Nice old-fashioned tweedy Highland style. Clean, very typical American oak character. Some light cocoa notes and a leafiness. Palate: Nice peppery bite, a pleasing sweetness emerging mid-palate – honeysuckle, barley sugar, sweet lemon. Finish: Quite spicy, with rich oak fading. Comment: Enjoyable, more-ish whisky but you have to like this very wood-driven style. Dalwhinnie’s distillery character is generally quite subtle, so it’s not surprising that it’s oak-dominated at 25yo. I’m not really complaining though, as it’s very good oak. A good job on the cask selection. 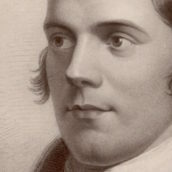 Nose: Crushed ferns (a note that I found on a lot of the whiskies – a green, vegetal note that reminds me of Autumn walks through damp fields of curled ferns), pink foam shrimps, freshly varnished wood, hot spice, a touch of brine, gravel and a some meaty sherried notes. 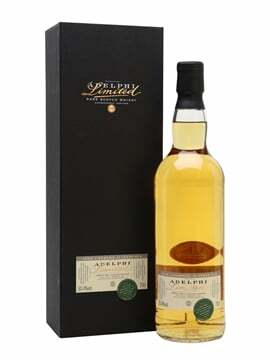 Palate: Sweet, spicy and sour – fruit chews, custard, woody spices, polished wood, pear juice and Haribo sweets. Finish: Very short, disappearing in a puff of sweet apple. Comment: Other than the slightly disappointing finish this one was quite interesting, combining the almost coastal notes of the nose with a sweet palate. Nose: Oak-led again – tweed, polished wood, dried summer fruits, especially apricot, hints of brown sugar and treacle. Palate: Richer than anticipated and very syrupy. Well-textured again. Some wholly unexpected sweet fruit flavours, including kiwi, melon and green bananas. Finish: Drying at full strength. Comment: As with the Dalwhinnie, this is very pleasant but unspectacular. Nose: Sherry-wood spices, raisins, brine, a green herbal edge (a bit ferny…), royal icing, handcream, cinnamon and dark chocolate. Palate: Stewed raisins, rich earthy compost, leaf mulch, custard with jam stirred in (my favourite primary school dessert), sweet spice and liquorice. Finish: Spiced wood, sap and lingering raisin. Comment: The one I was most looking forward to – an affordable, unpeated, sherried Caol Ila. It’s not a commonly seen beast and I was pleased that my expectations were met. A great combination of sweet sherry and a great earthiness. I suspect I’ll have one in my cupboard shortly after they arrive. Nose: Legumes & honeysuckle, some nice rich apple and tinned peach fruit. Develops earthy, dusty notes. Finish: Long and still very sweet. Comment: If you’ve got a sweet tooth you will absolutely love this. Nose: Floral and waxy with a light brininess, super sweet caramel notes and an edge of damp hay. Palate: Sweet up front with a big hit of sticky black liquorice, and sweet floral and fruity notes, balanced by a back end of dark wood and treacle toffee. Finish: Mint, menthol, polished wood and sour citrus. Comment: Looking back on these notes it seems like a heavy whisky, but the main punch was the lighter, sweeter notes, with the darker flavours just adding depth. Lighter and fresher than I thought it would be, and along the lines of the recent 25 and 30 year old releases. Nose: Medicinal, bandages, some orangey fruit. Wet burnt wood. Then more fruit and also some earthy vegetal notes, TCP and slightly burnt toast. Palate: Sweet attack, then very intense pepper. 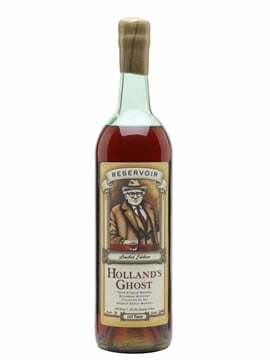 Develops sweet grapefruit and big bonfire flavours, all on a big bed of oak. Pleasing oily texture. Rich in flavour but relatively mild in mouthfeel despite the strength. Finish: Not as over-oaky as I worried it might be. Easy to drink – doesn’t taste like a mid-fifties abv cask strength whisky. Comment: I generally prefer the 25yo to the 30yo Taliskers, so worried this would be too woody. Not so – it’s a very good whisky, maybe even a great whisky. Nose: Fresh and filled with the smells of the Islay shore – brine, damp rocks, sea spray, earthy peat, a hint of meadow flowers and some menthol (someone eating a Fisherman’s Friend nearby?). 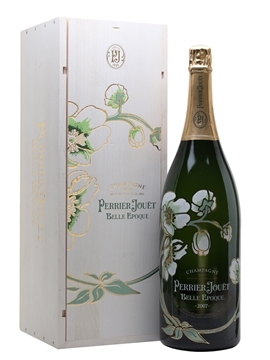 Palate: Lots of minerality with sultanas, black pepper spice, green leaves, sour fruit chews and green wood. Finish: Crushed ferns (again), seashells and salty sea air. Comment: One of the less sweet whiskies of the night and a much fresher dram than last years release, calming down the peat and smoke a bit to focus on the seaside notes. Palate: Generous mouthfeel. Continues from the nose with tweedy aromas and burnt vegetables. Burnt cannellini beans, burnt beansprouts, then fresh pea pods. Minerally. Very coconutty after ten minutes in the glass. Finish: Decent length with smoke and oak most prominent. Comment: Much more savoury and less sweet than some previous editions. Very more-ish and, unsurprisingly, went very well with the fabulous little chocolate truffles that had been made with it. Nose: Earthy peat, damp smoke, heavy wet wool, green leaves (maybe a hint of fern) and an alcoholic kick that suggests it’s stronger than its 52%. 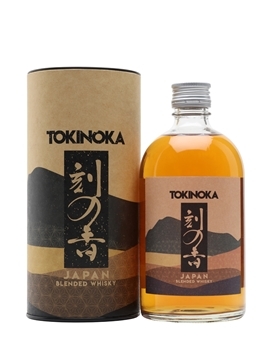 Palate: Sweet and lightly smoky, with some orchard fruit (peach and apple? ), simple syrup, light floral notes, gummi sweets and spice. Finish: Sweet and earthy peat lingers, with fruit and a light minerality. Comment: A nice chunk of peat sitting behind a sweet and fruity spirit – one of the most anticipated drams of the range and I can see why. Nose: Some really lovely dark fruit notes. I thought I got a slight trace of the dreaded sulphur at first, but if it was there it didn’t last long. Then goes quite earthy, with more vegetal notes, brine and tar. A whiff of bungcloth. Palate: Follows the nose, but also quite sweet and treacly. All the elements are very well-integrated and this is another one that’s very drinkable at full strength. Smoky molasses and dark fruit – rich dates, toasted malt loaf, then very pruney. The earthiness persists throughout. Finish: Sweet smoke, earthy peat – very good indeed. Comment: This and the PE were the stars of the show for me. It faltered slightly at the start and I wasn’t sure about it on the first sip, but I was converted by the end of the glass. I actually much prefer this to the first edition, which I found off-puttingly sulphury. Terrific stuff. Nose: Ferns, crushed seashells, sweet cut grass, flowery meadows, rhubarb and custard sweets, and a sour smoky note behind the scenes. Palate: A burst of icing sugar sweetness dissipates into sweet and sour fruit, kelp, brine, smoky beach bonfires (in the distance), stacked hay, a touch of farmyard, red boiled sweets and bit of an alcohol bite. A drop of water killed that bite and added even more sweetness. Finish: Ferns (young, curled ones), waxed green apples and a joss stick spiciness. Comment: I’ve still not tried enough Port Ellen to know where this sits in the hierarchy but it was a complex and interesting dram, with spice, floral notes, smoke and sweet fruit. Nose: Some mild burnt paper, then more obvious woody bonfire notes. Sea air, shellfish, some tinned fruit syrup, then goes very minerally. Palate: Medium-full weight, dense oily texture. Ashy smoke, coal dust then some honeysuckle and sweetpea. Round luscious fruit and that wet gravel minerality – this is very gentle, closer to last year’s version than the more austere lemony PEs. Big and sweet with some nice pepper notes. The oak is present but not dominant. Finish: Decent length, round and mellow. Thought it might start teetering on the oaky edge, but it pulls off a good recovery. Comment: Another very good official PE. The price hike, though, confirms that this is no longer a drinker’s whisky. 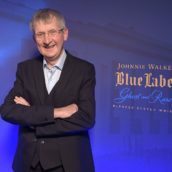 Many thanks to Pat Roberts, Story PR and the rest of the Diageo team for a great tasting last night. Now, onwards to The Whisky Exchange Whisky Show!! !